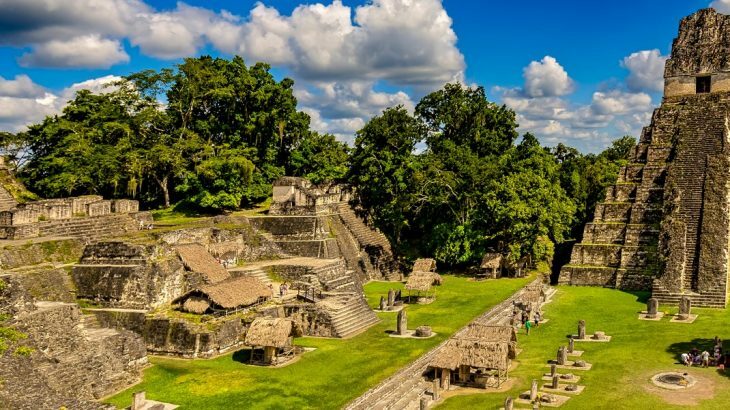 Stretching from the diverse landscapes of Mexico down to the lush rainforests of Panama, Central America remains a relatively undiscovered paradise for travellers looking to holiday in South America. Replete with smoking volcanoes, the atmospheric ruins of past civilisations, wildlife-filled jungle and incredible beaches, this narrow bridge of land between North and South America is a destination not to be missed! 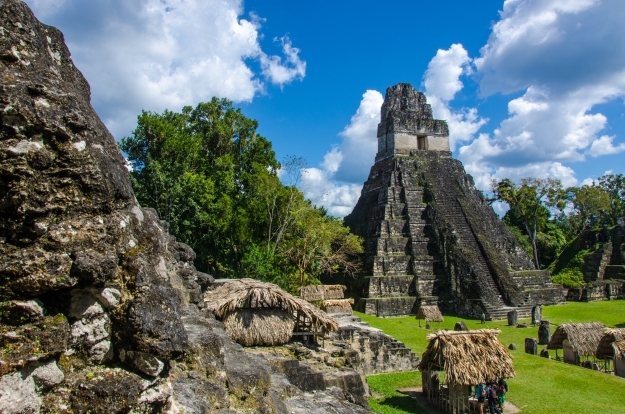 A Mayan temple complex in a glorious jungle setting, UNESCO-listed Tikal is one of South America’s greatest archaeological treasures. Temples stretch 44 metres skywards from green plazas, some of which you can climb to take you above the canopy, home to plenty of talkative monkeys, whilst broad paths take you from one temple to the next through tropical trees and creeping vines. Tikal is magnificent at the best of times, but to take things an incredible step farther, it can be arranged for you to have a special dinner at a table set amongst the ruins after the park has closed for the day. The atmosphere will be indescribable, the sun setting, the forest alive with the sounds of howler monkeys and the memories unforgettable. An arc of volcanoes run through Central America, some of which are active and others which aren’t. 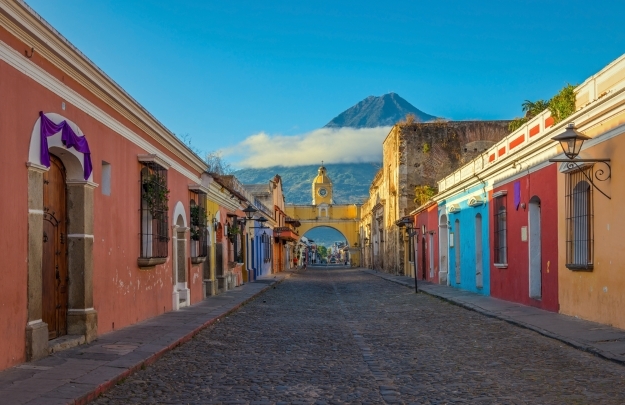 The beautiful town of Antigua in Guatemala just happens to be surrounded by a couple of them, one of which, Fuego, is very active. Whilst some of us may fancy ascend a volcano on foot, a much more spectacular and revealing way to see them is from the air. Imagine a bird’s eye view down into a volcanic creator, as well as spectacular views of beautiful Antigua itself. 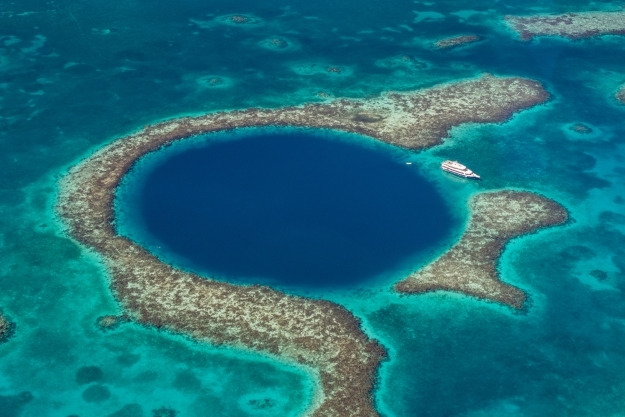 Belize’s Great Blue Hole is considered one of the world’s best spots for scuba diving. It is the world’s largest underwater sinkhole at 300 metres across and 125 metres deep, and is part of the Mesoamerican Barrier Reef, second only to the Great Barrier Reef. Part of a cave system, the best way to explore the Great Blue Hole is to scuba dive in it, or snorkel over it. For divers, you can descend to around 40 metres, where you can see ancient stalactites and caves, as well as the more recent (relatively!) coral formations. It’s also home to nurse and reef sharks, groupers and the occasional turtle. Who doesn’t love the idea of their very own tropical island? Well let us help you bring that dream one step closer! 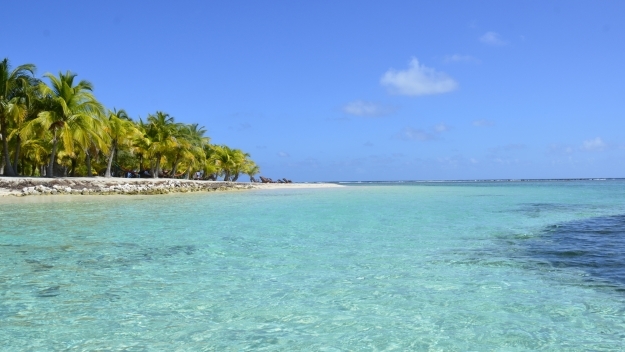 The coast of Belize is dotted with beautiful cays, small sandy islands on the surface of a coral reef, some of which have a private villa available to hire. Lounge on soft golden sands, swim and snorkel the crystal-clear waters and live out your shipwrecked fantasy to your hearts’ content. A peaceful way to glimpse Mexico’s rich heritage is a visit to one of the many beautiful old haciendas that dot its countryside. 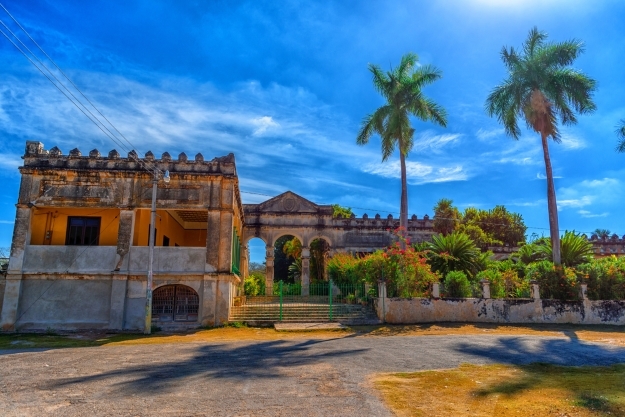 Built by the colonial Spanish to rule over vast estates, over the centuries the haciendas became seats of power in their own right, growing more opulent and expansive as time went by. The Yucatan peninsula is the perfect place to visit one, with options to stay in haciendas that have been converted into beautiful boutique hotels or simply to dine on delicious, authentic Mexican food, around a rustic table or on a picnic blanket in gorgeous surroundings. An incredibly popular food across the world, Mexico has a rich culinary history, and like most cuisines that are popular across the world, Indian and Chinese for example, the authentic local food is usually a million times better than the stuff that gets whipped up in its name! Mexico City’s street food is UNESCO-recognised and utterly delicious, so where better to learn all the ins and outs of the comida tipica. 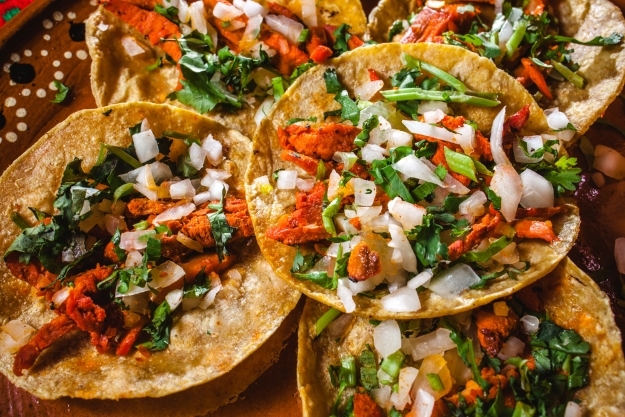 The best way to learn and taste is with a cooking class, where you can learn about the essential Mexican ingredients, maybe take a trip to a local market for fresh produce and pick up tips and techniques on how to get the most authentic flavours. Many classes are hosted by a chef in their own kitchen! 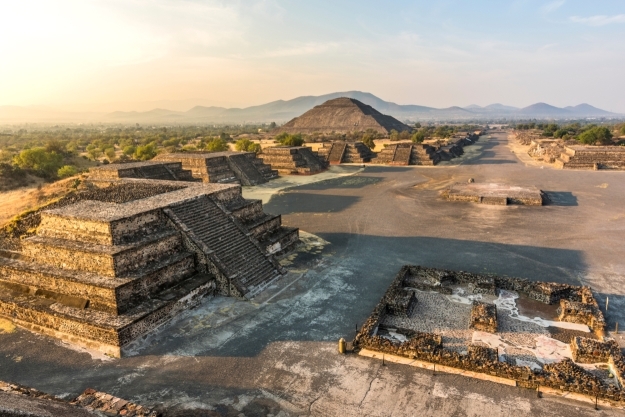 One of Mexico’s best-known archaeological sites, the Aztec city of Teotihuacan is located on the outskirts of Mexico City. Spectacular from the ground, viewing it from the air, is another thing entirely, offering breath-taking views along the Calzada de los Muertos (Avenue of the Dead) to the citadel and the towering pyramids of the sun and moon, some of the most architecturally significant pyramids of the pre-Colombian Americas. Drifting over the peaceful ruins as the sun rises over the horizon is a mesmerising experience. Deep in the Mayan heartlands, indigenous culture is still an essential part of life in Guatemala. On the banks of the beautiful Lake Atitlan, holy caves still see the rites of age-old rituals which visitors have the honour of attending. Fire cleansings and protection ceremonies occur often, using ancient Mayan wisdom to connect with the divine and rid ourselves of negative energies. There is no more truly fascinating window into Mayan heritage. Our Latin America tailormade specialist Gemma has just returned to the UK after living and working in Central and South America for over 12 years. She would love to help you plan your perfect adventure to this marvellous continent, including any of the experiences above. Contact her on gemma@asiainspirations.co.uk to get started! South America adventure, bucketlist, unesco heritage site. permalink.